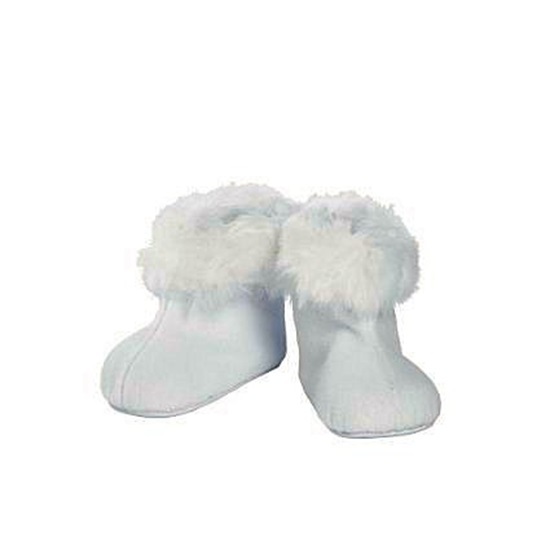 This white faux fur trimmed boots fits the 20 inch Adora Toddler doll. Designed by Adora for the 20 inch Toddler Time dolls, they will fit other similiar-sized dolls as well. These are white velour boots with faux fur trim at the top.